We recommend 1001 for new account, Please do not include any leading zeros. If you feed you checks to your printer faced down and the printer takes the top check first. You can either upload a voided check or fax to 1-800-767-3865 or you can email it to sales@cheapcomputerchecks.com . If you do not have a voided check we will contact you direct if we need more information.. Your order will not be processed until you reply to an email with Proof. Should my bank make changes, will my checks from CheapComputerChecks.com be updated? 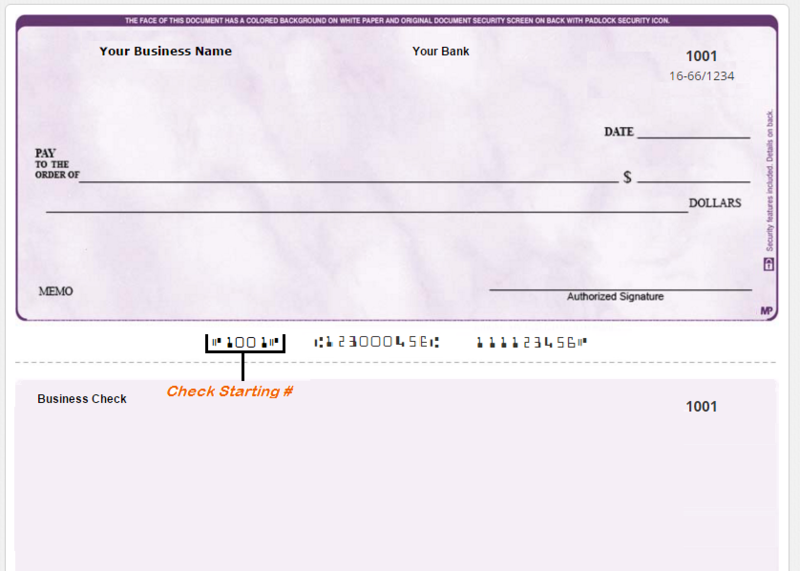 Our database should update your checks automatically. You can confirm changes by calling us. The database is updated frequently so you should not have to make changes regularly. Should you need an MICR Specification Sheet to make changes with, we will be glad to help you obtain one. What is an MICR Specification Sheet and what is it used for? 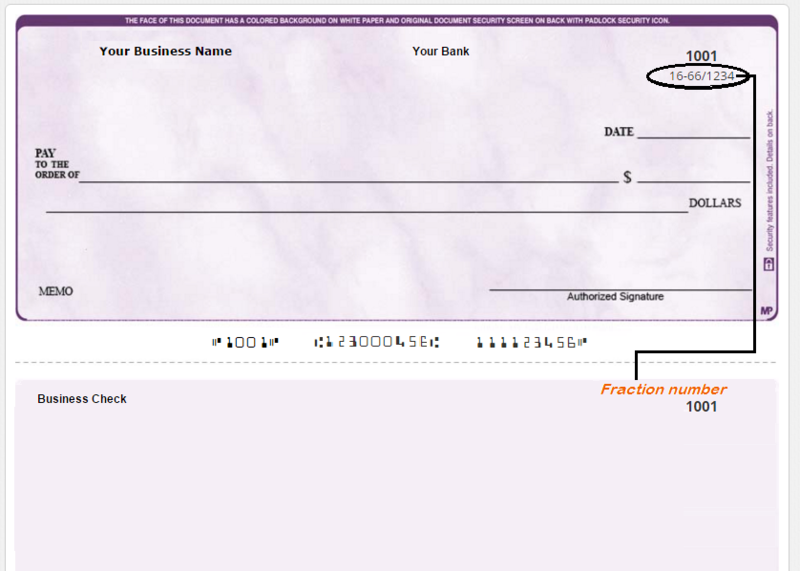 The MICR Specification Sheet gives the printer the exact spacing and numbers for business and personal checks. The MICR Specification Sheet allows checks from CheapComputerChecks.com to be scanned properly by your financial institution. You can obtain a MICR Specification sheet from your local bank. Our customer support team will be happy to walk you through the process of obtaining and filling out an MICR Specification Sheet. Is it possible to add additional information to my checks such as my driver's license, phone number, or other useful information? Certainly, you will notice on the check order form there are two additional lines. You may use these lines to add any additional information you would like to add to your checks, but we suggest that you limit the amount of personal information you include on your checks. Should the check cashier need more information to cash your check you can always write this information on the check. Limiting the amount of information you provide on a check is recommended for your safety and financial protection. Never include your social security number on your checks. How can I view the status of an order? Checking the status of your order is simple, once you log into your account you will be able to view the status of all your orders. Simply click the 'Order Status' button on the top right corner. Should you need to check the status of your order while you are away from your computer, you can always call our customer support team, on 1-800-767-3865. Our Customer support team will be happy to assist you with the status of your order, or any questions you may have about your order. Is it possible to contact CheapComputerChecks.com about check printing directly? I am experiencing errors on the CheapComputerChecks.com website. Is there some way I can still place an order? I experienced an error while ordering checks on CheapComputerChecks.com. What should I do? To avoid a duplicate check order or charge to your Credit/Debit card you should contact our Customer Support Team. You may call our toll free number at 1.800.767.3865 to speak with a live representative between 9:00 AM and 6:00 PM EST Monday through Thursday. If you need to contact us outside normal business hours you can always email us at sales@cheapcomputerchecks.com. You should receive an e-mail response within 24 hours. What type of credit card can I use to place my order at CheapComputerChecks.com? CheapComputerChecks.com currently accepts Visa, MasterCard, Discover, American Express, & Google Checkout. If you have a debit card with a Visa or MasterCard logo you can use it to pay for your order as well. Will I receive a confirmation e-mail or notification after I place my order? 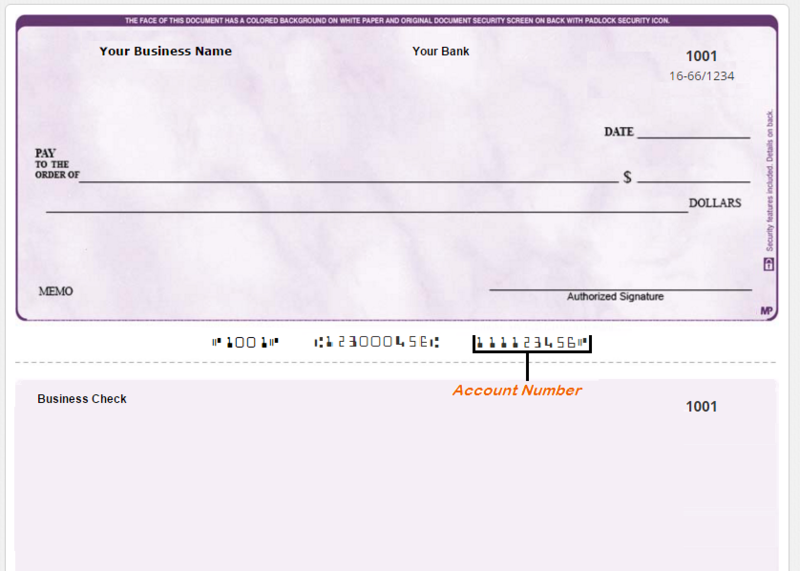 Will my check ever be rejected because it was not printed by my bank? No. Banks typically never print their own checks. 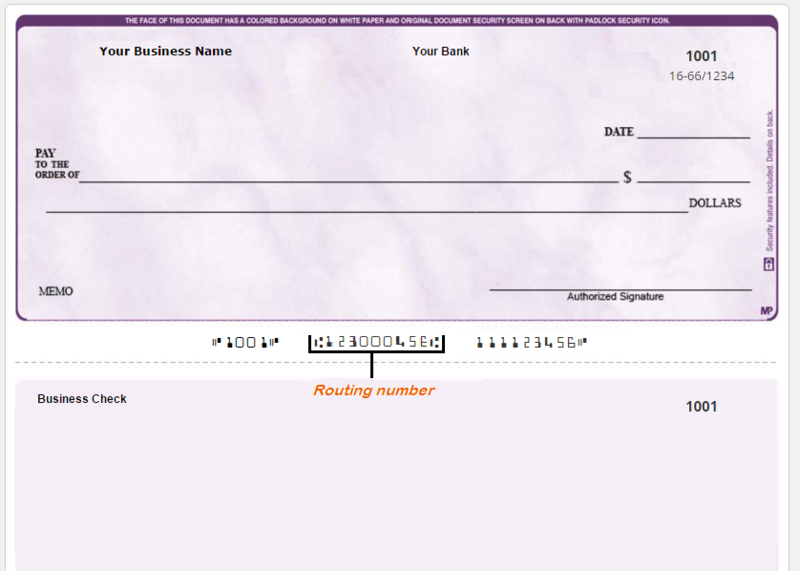 Banks take orders for checks and send the orders to a partnered printing company. CheapComputerChecks.com is designated as a check printing company, like all other check printing companies we follow exact specifications when printing checks. Our laser printer process prints checks that meet the highest expectations and specifications set out by the American National Standards Institute (ANSI). 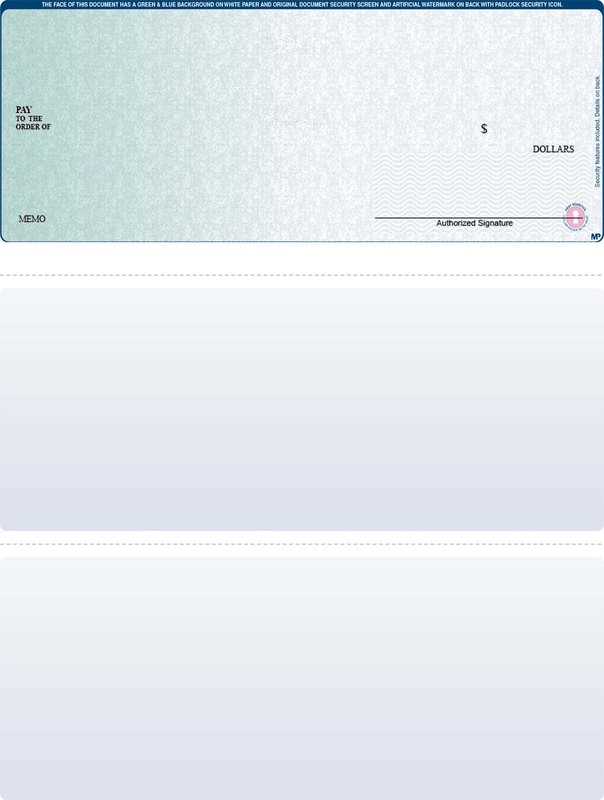 Will my bank ever refuse to cash my checks if they are printed by CheapComputerChecks.com? I placed an order online at CheapComputerChecks.com. Can I cancel that order? You may cancel orders made on our website if the item has not yet been printed; once the order has been printed you may still choose to cancel it, but you will only be refunded for the shipping charge of the order. What if my address was misprinted on the box - what happens then? Should your checks be returned to our shipping facility, we will contact you immediately via phone or email, you can then arrange to have your checks redelivered to you.